My blog emphasized remaining professional, polite, and courteous in handling any appraisal issues with clients, as well as solidly knowing the rules, with the goal to save any business relationships worth saving. Some could argue that a client that “instructs” an appraiser isn’t worth keeping, and I’d tend to agree. But when the client has a long-term and good track record, the fact that one problematic episode arises isn’t, in my opinion, reason to throw the baby out with the bath water and fire the client. As it worked out, I was able to communicate effectively with my client and save the relationship (I’ve received more assignments since the episode). A few appraisers questioned how I could possibly remain strong in insisting that my time/date adjustment (aka, market adjustment) remain in the report, yet still retain the business relationship. (Oh, and I like to think I educated the client at the same time!) This is one type of example I will be using in June when I speak at the Valuation Expo in Las Vegas. My talk will cover compliance-related issues and practical applications to our day-to-day appraisal businesses. With only minor editing, I’ve included the email exchanges below. While there are many issues related to the discussion, some of the major items I noticed throughout the conversation are included below. Can a no-time-adjustment policy be an acceptable assignment condition? No. Adjusting for market conditions is a necessary (and fundamental) part of analyzing sales, in order to bring sales “current” to the effective date. An assignment condition that bars an appraiser from properly applying such adjustments would be unacceptable, and raises USPAP and Appraiser Independence issues for the appraiser and client. Whether it was presented as part of the original engagement or as an additional condition after acceptance or delivery makes little difference. At engagement, such a condition would have to be considered an unacceptable assignment condition. In the latter scenario, after engagement or delivery, this type of “instructing” the appraiser in the development or reporting of the appraisal would not be in line with Appraiser Independence regulations. Obviously, it must be the appraiser – the market analyst expert – who evaluates the market. Regulations require that the lender engage a state-certified or state-licensed appraiser to develop and report the appraisal. They need to leave the appraising up to the appraiser. Is forecasting important when deciding whether to apply time adjustments? Forecasting may come up in some assignments, but in market value assignments for lenders, typically adjustments to comparable sales are not related to forecasting into the future (beyond the effective date), but to bringing the sales “current”. If a client is concerned that the increase or decrease in a market may not continue into the future, that concern is not directly related to the market adjustments made to the sales. In my experience, the necessary amount of summary analysis supporting market adjustments may vary, based on the market, the specific data, the variables studied, the availability of specific data, and even the client (the client can compliantly ask for further clarification). Most frequently, the Neighborhood section of standard appraisal forms (even supplemented with the 1004MC form for lending appraisals) does not offer enough space or request enough data for an adequate summary. For example, simply reviewing the change in median sales prices over 3 periods of time, such as on the 1004MC form, may not provide enough data to determine whether values have increased or decreased, or how much they have changed. There is not enough information provided to a lender to understand how market adjustments were arrived at. Does it really matter if the appraiser simply takes away the market adjustments? If the appraiser believed, from market data, that a market condition adjustment was warranted, then removing it because a client instructs him to do so is a problem. And it’s not just a problem for the appraiser, in terms of USPAP and state enforcement. The lender is required to obtain a USPAP-compliant report and the entire process must meet Appraiser Independence requirements; “instructing” an appraiser and utilizing a non-compliant appraisal does not place the lender in a good position. Due to feedback from investors we cannot accept positive time adjustments on any comps, so please remove the time adjustment on comp 3. In the past we could accept positive time adjustments, but our investors feel differently now. So going forward please do not use positive time adjustments. This will be reassessed as we go along and the market continues to show an increase in values. For me to ignore all of the studies and data that I’ve summarized in the report and not reflect the change in the market for this older transaction would not be consistent with USPAP or sound valuation practice. I can honestly say your organization is the only client, lender, or AMC that has ever instructed me to remove an adjustment. FNMA, VA, FHA, etc. all expect market analysis, and FNMA Selling Guide specifically notes time adjustments can be positive or negative. This was conventional – what set of industry guidelines is this file subject to? Your hard and fast rule could be called an unacceptable assignment condition because it does not allow the appraiser to follow USPAP. Lack of time adjustments is one example of the problems that led to appraisers being blacklisted and losing State licenses after the bubble a few years ago. Please hear my comments as they are intended, which is a non-confrontational discussion in order to figure out how we can work through this. I hope these comments do not jeopardize our business with one another. I have had conversations with the investors and yes you are right there are times when it would be appropriate to use time adjustments but because of the short amount of time that we have seen an upward trend, we want to be very cautious because we don’t want to be the only ones out there doing this. We received a lot of flack from the investor on the last appraisal that we sent in that had positive time adjustments and ended up having to have a second appraisal done to support the value and that appraiser did not use time adjustments and was able to come up with a similar value. So for right now until we see more of this happening industry wide and being accepted, then we would like to avoid them if possible. I do not want to ask you to do anything that would be against USPAP but as I said I have not received any other appraisals that have used positive time adjustments so it is hard for me to make a judgment on whether you are right or wrong. I have had conversations with a couple of other appraisers and investors about positive time adjustments and they felt that there had not been a long enough period of upward growth to determine if positive time adjustments are appropriate. Also for comps less than 6 months old I do not feel there is enough data to support the use of positive time adjustments. On older comps positive time adjustments might be appropriate, but again there has not been enough time to determine if the upward growth will continue or turn around and head back down. You do good work and I trust your judgment and because you want to discuss something would not jeopardize your standing with us. But in this instance I don’t feel that a time adjustment is warranted and in the future you would be asked to remove positive time adjustments for comps less than 6 months old. This is not a hard and fast rule but a judgment call by our company for this period of time, and as we know things change and I could be asking you in the future why you did not use a positive time adjustment on an older comp. I appreciate your comments and I am always willing to discuss any issues. The Division of Real Estate has said that if a market has increased (assuming that the summary of those market analyses is in the report and the analyses make sense), then they will expect to see time adjustments. A lender policy is not an acceptable reason for an appraiser leaving off a time adjustment, and the Division considers this type of situation a misleading report, which in the appraisal and compliance world, is a huge deal in terms of violations of USPAP. The Division is the entity that enforces USPAP and issues our licenses. They will “fail” a report that ignores the time adjustment when the market has increased or decreased leading up to the effective date. As they see it, it is black and white. Other appraisers, your investors, you, etc. acknowledge – according to your email – that the market has increased (at least for some time) leading up to the effective date in this particular assignment. (Of course, it varies by assignment, due to market area, what particular segment, type of property.) You note you don’t want to be the “only ones out there” having time adjustments appear in your files’ reports. I work for a variety of lenders, and looking back through my reports, I see other reports in which I used time adjustments and summarized my research and conclusions (with attachments and narrative) just as I have in several reports I’ve turned into your organization. I haven’t heard “boo” back from them (I rarely get revision requests anyway) and I’ve continued to get work from them which is one indicator to me that the quality (including time adjustments) in my reports is not an issue. Wanting to see “more of this happening industry wide and being accepted” you write below. As I noted above, it is being accepted by other clients, some small some national. However, looking to the larger industry doesn’t seem to be a reliable way to verify if adjustments are necessary or appropriate. I have absolutely no idea if time adjustments are appropriate for segments of the markets in Denver, Philadelphia, LA, or small towns in Florida. What we look at is our local market, and USPAP – according to the Division of Real Estate and reading USPAP – expects us to react certain ways in our reports if the market has changed since a comp sale’s transaction. You mention in several places below in your email something to the affect that the increase hasn’t been going on “long enough”. Market studies and analyses in appraisals are not meant to indicate forecasting or predictions or anything like that (in general, for lending appraisals). So, I do not understand the significance of the worry of whether “upward growth will continue or turn around and head back down” as you state. I am concerned with (as are HUD, VA, FNMA, Division, AF, AI, etc.) what has happened between the comp transaction and the effective date. While the “health” of a market can be a concern, a time adjustment is not in response to how long an increase has been occurring or if an increase will continue into the future. A time adjustment IS used to reflect the change in the market from the comp’s transaction to the effective date. For example, let’s say a comp sold 6 months ago with studies showing values increasing during that time (6 months ago up to the effective date); a positive time adjustment may be needed to reflect the upward movement of the market since that specific sale. Another example, I make a positive time adjustment following analysis and provide support in my report, and a month later the market tanks; there is nothing that makes the report invalid because any time adjustments used in the report were reflecting the change leading up to the effective date (to bring the comp “current” to the effective date). There is never a guarantee that a market will not “head back down”, and time adjustments made to comp sales have nothing to do with that. The Division does not allow appraisers to avoid time adjustments (or any adjustments for that matter) based on a lender policy/condition. If they see this type of omission, the appraiser will face a fine, required additional education, required review by another appraiser, or worse for a misleading report. As the Division sees it, there are sequences of adjustments that must be adhered to (which is basic appraising 101), one of them being market/time adjustments, so if it is left out, that is not good. One of the top “missing” adjustments found in reviews of reports leading up to the recent “bubble” were time adjustments and/or little-to-no actual market analysis. I need my license to work. Knowingly meeting a lender’s condition that is against USPAP is risking my license and not smart. No other lender has asked me to remove adjustments, and no other lender has disallowed time adjustments. I want to find a way we can work through this, while still delivering a compliant report. Is there a way that you/investors allow time adjustments to remain in a report, through additional pieces of data that I can supply to you? I am willing to give this a try so we will call it good. 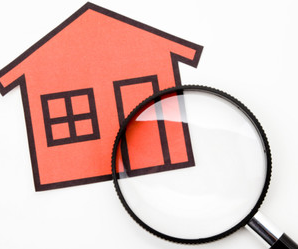 Appraisers have a responsibility to evaluate any requests from clients (lender or otherwise). Whether the issue relates to market (or any) adjustments, the condition of the property, locational influences, the final opinion of value, or a laundry list of other items, appraisers decide. In the end, the appraiser’s judgment and expertise must prevail, in providing the unbiased, credible, and reliable appraisal report he or she is required to deliver. This entry was posted on July 8, 2014	and is filed under Accounting, Appraisal, Appraiser, Appraiser's Guide, Attorneys, Education, Events and Classes, Homeowner, Legal, Lending, Rules and Regulations. Written by: Josh+. You can follow any responses to this entry through the RSS 2.0 feed. You can leave a response, or trackback from your own site.